Though many complained about The Hobbit: An Unexpected Journey, I found it to be quite an enjoyable romp through Middle Earth. Though not on par with Peter Jackson’s Lord of the Rings trilogy, it’s still a solid action/adventure flick and one that provided a lot of great moments and some truly memorable moments, for me at least. The next film in the trilogy, The Hobbit: The Desolation of Smaug, is currently in production and today, we get a behind the scenes look at it. With this newly release video, we get a couple shots of new members Evangeline Lilly and Luke Evans, a glance at Orlando Bloom and some quick looks at what’s going on behind the scenes. The point of the video though is to answer questions sent in by fans through YouTube, so that’s where most of the focus is. There’s also a little bit with Stephen Colbert, which is just dumb, and a nice appearance by Billy Boyd, who played Pippin in the Lord of the Rings trilogy. Truthfully, there’s nothing too revealing here but it’s still nice to get a look at the film. I’m a big fan of Jackson’s work, having loved his Lord of the Rings trilogy and thoroughly enjoyed the first Hobbit film. 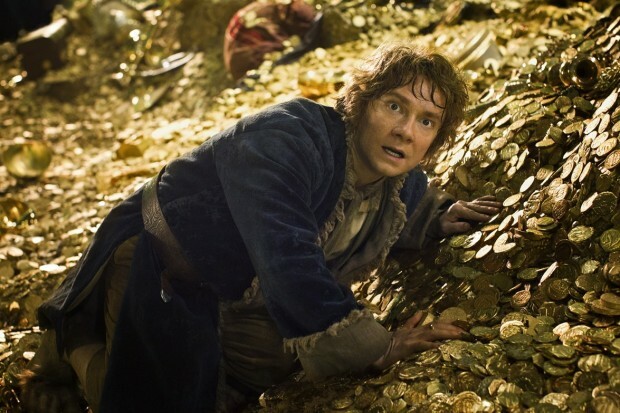 So anything we can get on The Hobbit: The Desolation of Smaug is worth watching. A full trailer likely won’t hit until the Summer, so we still have a ways to go before we get a real good look at the film. For now though, this will have to do. The Hobbit: The Desolation of Smaug hits theatres on December 13th, 2013. Check out the video below and let us know what you think in the comments. Excited for the film? Or did The Hobbit: An Unexpected Journey leave you with a bitter taste in your mouth?